Pet Care service in Menifee & Sun City California Menifee Pet sitter service Spring Break and Summer vacation Pet boarding, dog cat sitter parrot macaw amazon cockatoo large parrot experience pet sitter. Private home sitter dog boarding Summer Vacation Pet sitting, pet care Service Inland Empire Pet Sitter Boarding Service Private Home in Menifee California.- Professional Pet Sitting Service Menifee California - Serving Menifee Valley dog care taker pet sitter. "We went to the pound to get a male puppy, something we could raise to be friends with our other dog, cats, and horses. The number of dogs at the pound was staggering, and we walked by you several times without stopping. You were beautiful, sweet, and calm, but not what we thought we wanted. In the crazy barking and whining and the sinking feeling of shame that we could not save ALL the animals we were seeing, you sat quietly and watched us intently. When I finally did stop in front of your cage, you quietly licked my fingers. I was hooked. We walked out with you, an older female alaskan husky. You were timid, and would pee anytime someone raised their voice, whether it was at you or not, whether you were in the house or not. You dug massive holes in the yard. You chewed anything and EVERYTHING you could get your teeth into. You were hyperactive and jumped on people, knocking them over. You dug your way into the neighbor's yard and tried to play with their 11 year-old pekinese, causing over a thousand dollars in vet bills we had to pay the neighbor. What did we do with you? We went online and researched your breed. We learned that you needed to have chew toys and bones at all times, then we bought them for you. We learned that you needed to have lots of daily excercise, so we fenced in all four acres of our property so you could run to your hearts content. We took you with us to Petsmart and doggy parks to socialize you in how to treat other animals. We put in a hot wire along where our property meets the neighbors. You zapped yourself once, now we don't even have to keep it on, you learned fast. We taught you a mind-boggling amount of tricks and would teach you more if we could think of any. What we DID NOT do was take you back to the pound. When we brought you home, it was forever. We should have researched your breed before we got you, but it is not YOUR fault that we didn't, so we are not going to disown you for being exactly what you are supposed to be. The problem was not with you, it was with us. Once we fixed ourselves, you became the perfect pet. And as a side-note, we are not rich, or even well off. I am unemployed, my husband works construction. We cut back on many things and saved to put in that fence. We maxed out our credit card with that vet bill. But that's what you do when you expand your family. If you cannot see going without to pay for your pets, then DON'T HAVE PETS. They get sick, they cause damage, they need regular supplies. Love your pet, don't leave them." Lateds update: "Mina was a handful, and I'm so glad we brought her home. She is best friends with our border collie, DeeDee, and also sleeps in the pasture with our horses." "Meet & Greet", "Pet Pick Ups" and "Pet Drop Off"are scheduled by appointment only. Quality and Professional pet Care Service. For all ready establish pet guest I will attend and confirm reservations as soon as possible. 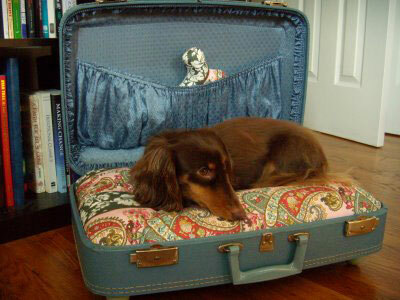 For New Pet Guest -Free Sniff, Scratch, MEET and GREET must be done prior to any pet sitting service. As always, thank you for your continued trust on my pet care service. 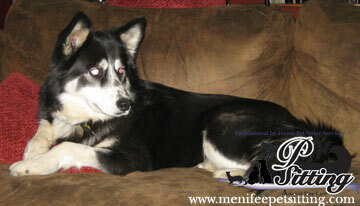 Menifee Pet Sitter offers Pet Sitting Care at your Home Menifee Area. Make your Reservations now or email- me for more information on Pet Sitter - Pet Care Service or House care service in Menifee and Sun City California. Pet Boarding Private Pet Siiter Service for Summer Vacation Pet Sitter Boarding Service Private Home in Menifee California.